We arrived Scarborough ME yesterday at Wassamki Springs Campground Site I-4.We stayed here last year and consider it a good place to camp for touring the area and Portland. 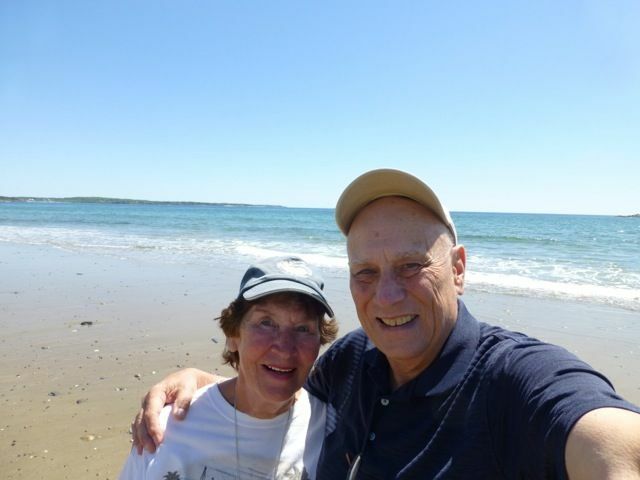 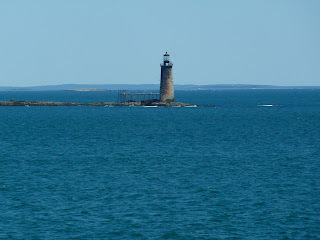 Today, John wanted to revisit some fort sites again so we drove to Black Point on Saco Bay to locate some markers. 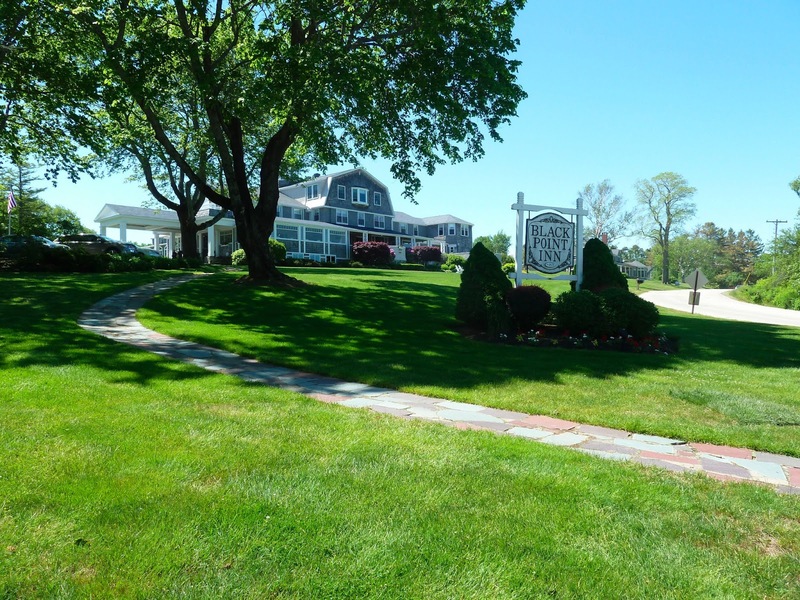 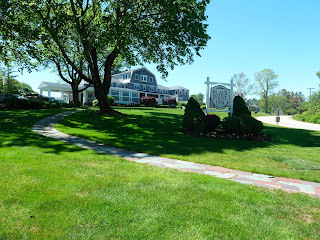 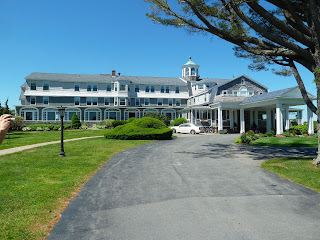 We also stopped at Black Point Inn which is a very exclusive resort on the bay. 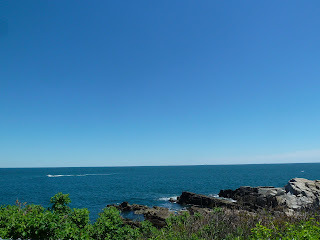 Just took photos. 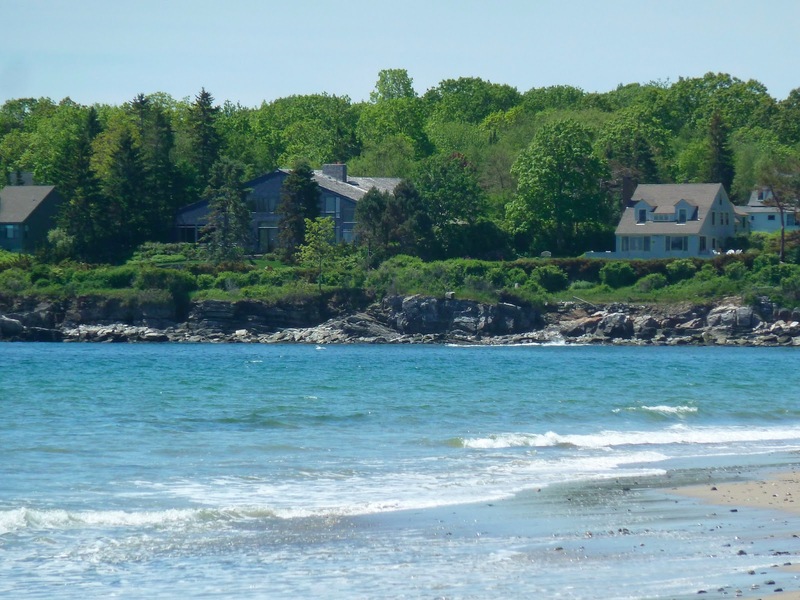 The neighborhoods in this area are very private. 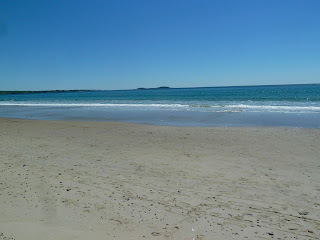 We did find one public road to Scarborough Beach. 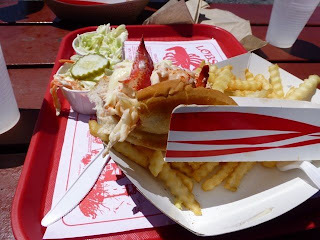 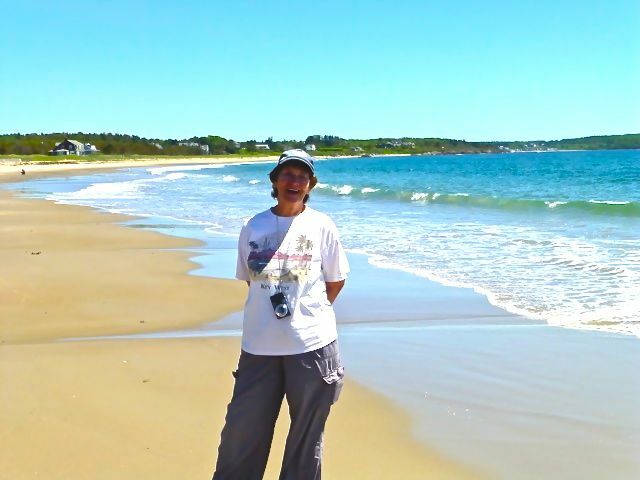 After a walk on the beach, we drove to Two Lights SP and lunch at the Lobster Shack. The Lobster Rolls were delicious. 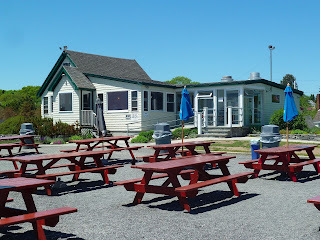 We ate here last year. 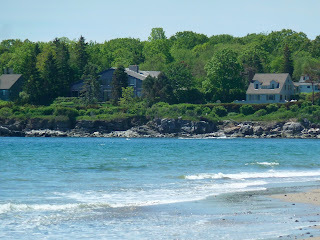 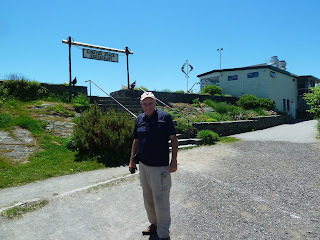 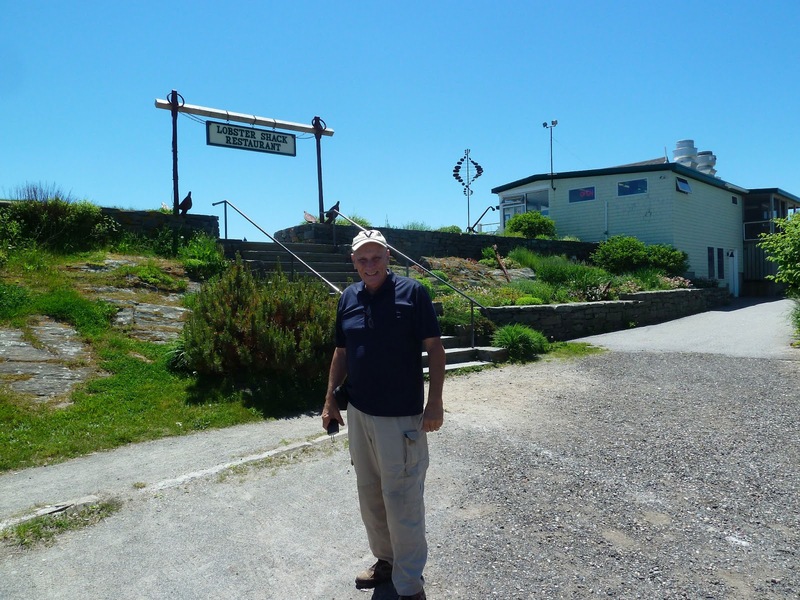 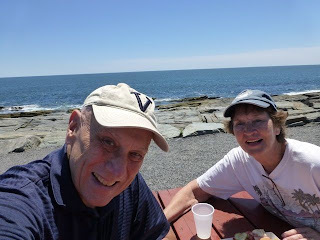 After lunch we then drove into Cape Elizabeth to revisit Fort Williams and Portland Light. 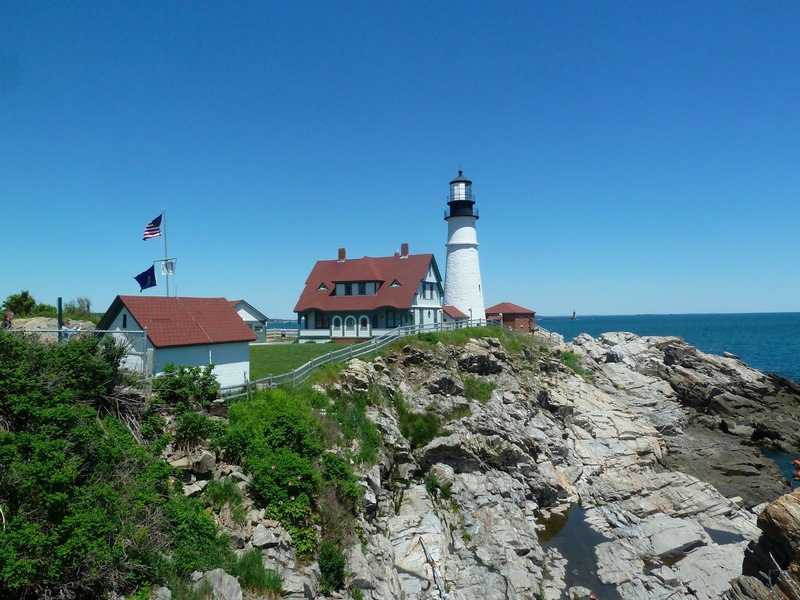 Fort Williams and Portland Light are now run by the citizens of Cape Elizabeth and a beautiful park. 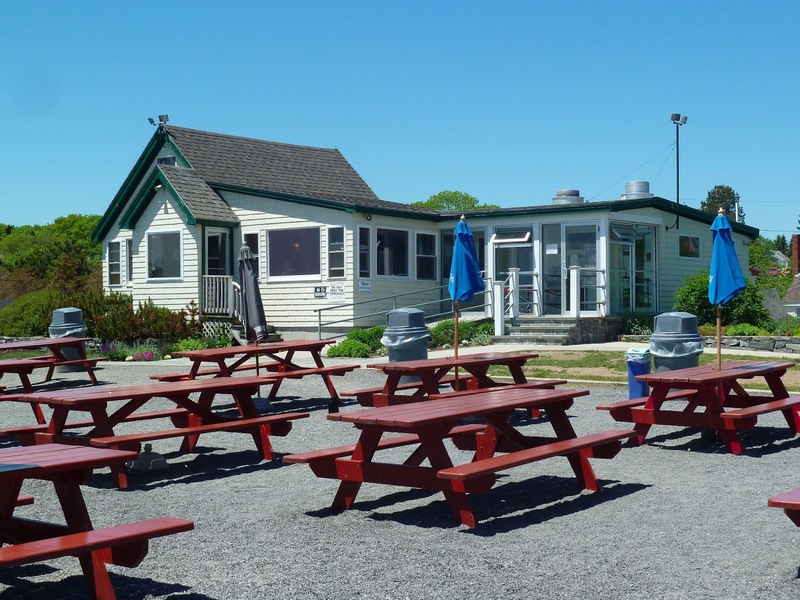 Highly recommend this stop if in the area. Fort Williams was one of many coastal defense fortifications in the Casco Bay area from 1872-1964. 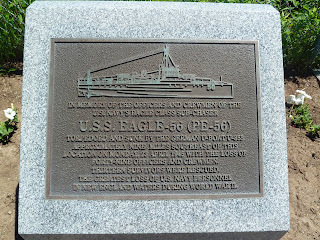 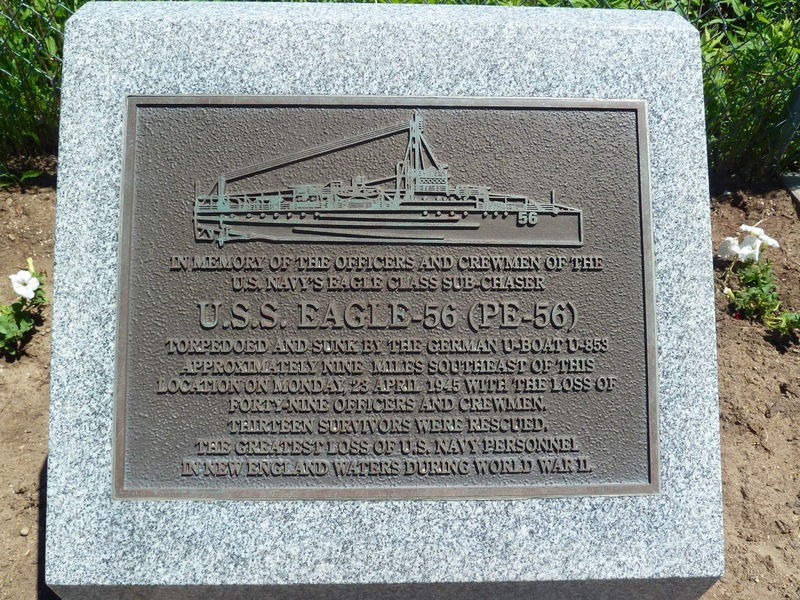 On the grounds near the Lighthouse is a plaque honoring the lives loss in 1945 when the USS Eagle was torpedoed and sunk 9 miles off the coast by a German U-Boat. 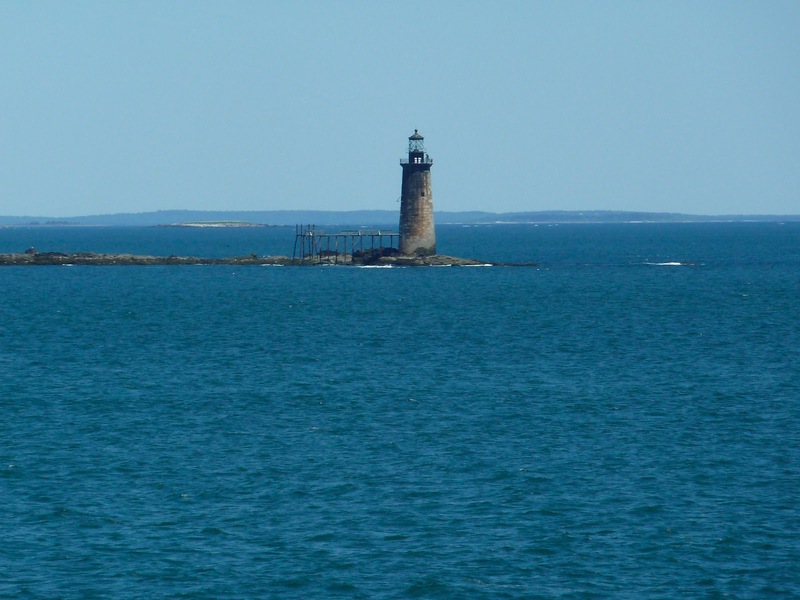 Portland Light was built in 1794 and is still a working Lighthouse on Casco Bay. 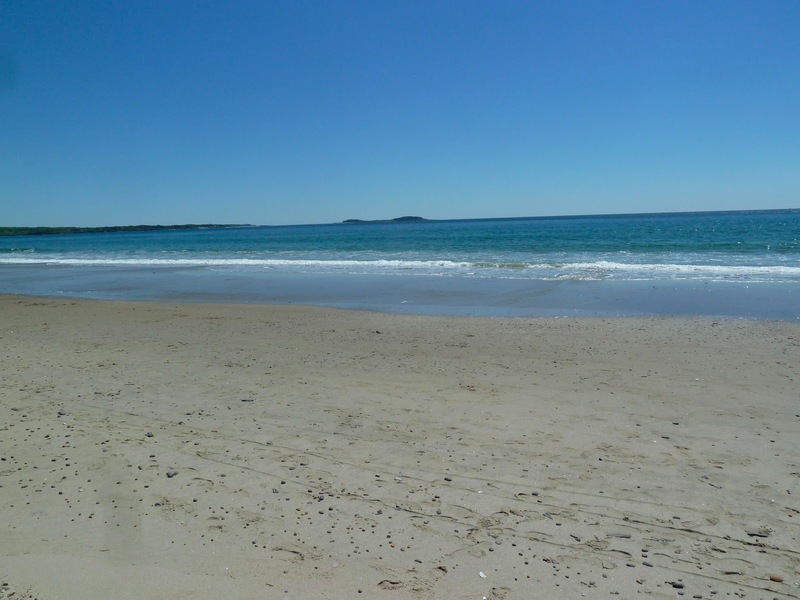 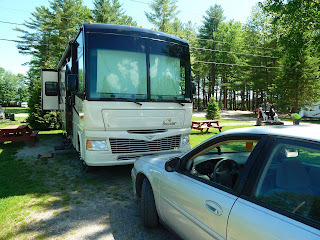 We will depart here on 7 June for Pleasant Hill Campground in Herman ME for 7 nights before going to New Brunswick.